Enjoy the taste, enjoy the versatility! This easy wrap recipe is perfect for a light dinner, lunch, snacktime, or for appetizers. Wrap in tin foil to bring with you for a meal on the go! 1 Drain sardines, reserve the cracked pepper. 2 In a large mixing bowl, combine lettuce, endive, 1 cup bell peppers, onion and cilantro with 1 tablespoon of the oil and cracked pepper from the can. 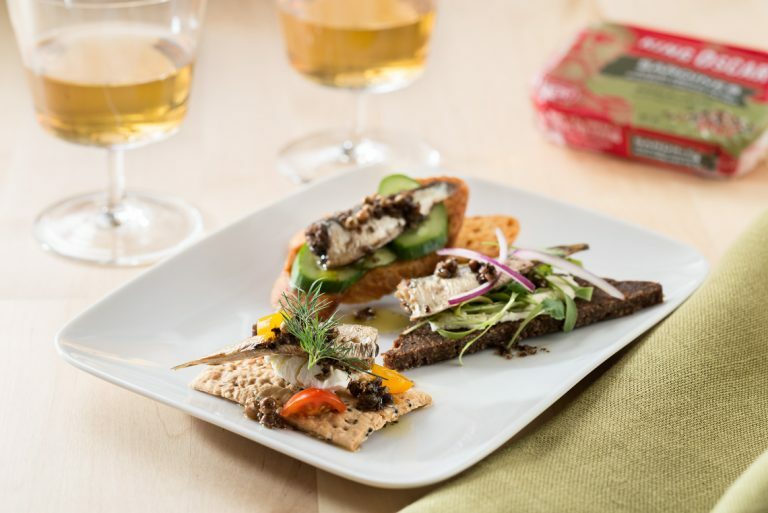 3 Lightly smear flat breads or tortillas with goat cheese, fill with vegetable mixture, gently layer on sardines, and roll closed. 4 Cut each roll in half or into slices, as desired. 5 Sprinkle remaining diced peppers over plate as a garnish. Substitute with your favorite King Oscar Sardines variety. 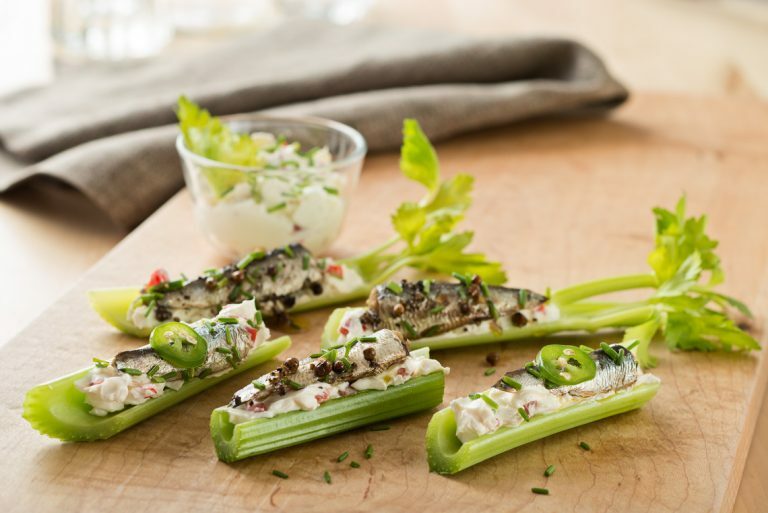 Cut into thinner slices and serve as an appetizer.